Why do I let inconsequential choices zap so much of my mental energy? For the last year I have been trying to come up with a filing system for my 1st grader and preschooler’s work they bring home from school. I’ve been walking past piles and piles of their work for the last year not knowing what to do with it. Do I keep all of it or only the best ones? If I only keep some of it, which ones? 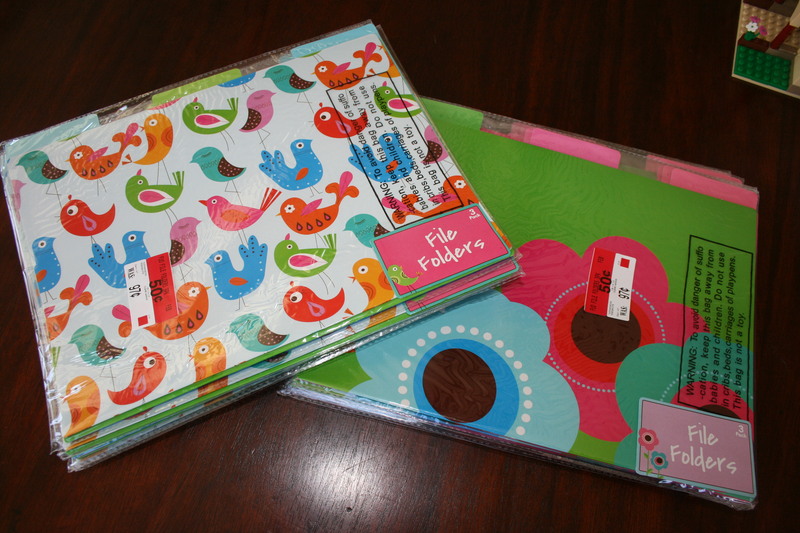 I found these cute file folders at Walmart for 50 cents! They will be perfect for helping me organize my girls’ homework. Have you ever been stuck in the realm of indecisiveness? You have so many choices that you can’t decide on that you don’t decide at all? I know I find myself in this predicament in other areas besides my girls’ homework. All I need to do to free myself from this decision hanging over my head is make a choice. Yes, sometimes there are many possible choices that would work, but after you have considered all the options sometimes you just have to decide so you can finally move beyond it and get to more important things! Do you have something that needs to be completed? Are you experiencing paralysis by analysis? What are you waiting for? Just decide!